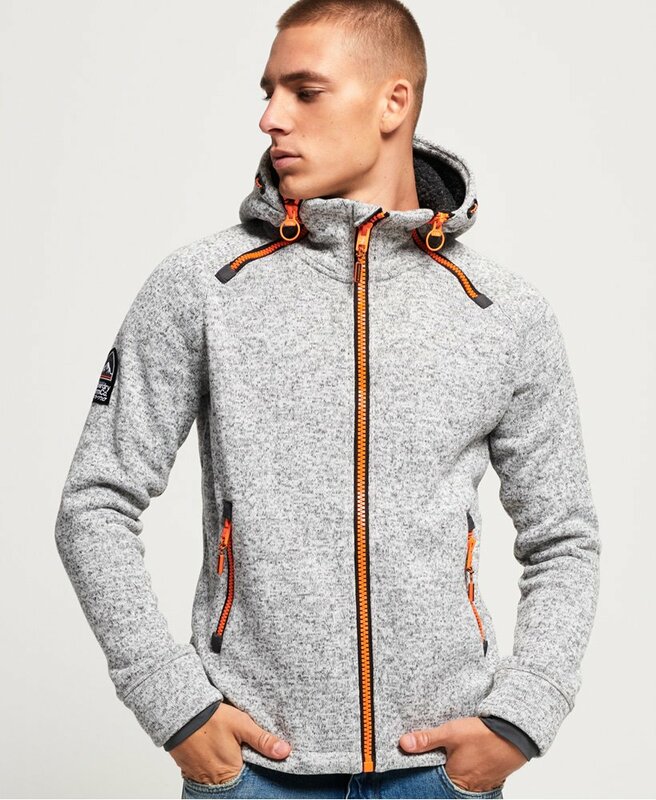 Superdry men’s Storm double zip hoodie. Inspired by Mountaineering gear, this zip hoodie features a funnel neck with multiple zips, a fleece lined hood, and two front zip pockets. The hoodie also includes a bungee cord adjuster hood and hem, along with cuffs with thumb holes. Inside, the zip hoodie has a soft lining and is finished with a Superdry Mountain patch on one sleeve and Superdry logo embroidery on the back of the shoulder.